Sweat is the fluid produced by the sweat glands in all mammals through the process of sweating or perspiration. This process of sweating is identified as an excretion process of the body by which dissolved chlorides and water gets excreted from the sweat glands.It is believed to help in regulating the temperature of the body. Sometimes the body starts to give out excessive sweat. This medical condition is called Hyperhidrosis and physicians have linked this to the over activity of the sympathetic nervous system of our body. Hyperhidrosis can be localized, as in case of palmar hyperhidrosis, which is the excessive sweating of the palms or plantar hyperhidrosis which refers to the sweating of the feet. The other form of Hyperhidrosis is generalized that occurs through out the body. Besides causing body odour and discomfort, Hyperhidrosis also causes dehydration of the body.The phenomenon turns fatal in case of diabetic patients as well as people suffering from anaemia and low blood pressure. The causes of excessive sweat are still not clear. It may be a genetic disorder, unhygienic life style or may also be the result of hormonal disorder. A number of conventional medicines are available in the market which boasts of curing the problem but pills and medications have not been found to be successful in curing excessive sweat disorder permanently. Natural healthy remedies are available that affect the cause of the problem and eliminate it totally if practised properly. Some of these natural healthy means of fighting the problem of excessive sweat are as follows-One can follow a simple regime of drinking a cup of tomato juice every day for a week. Thereafter drink the juice every other day for another week and later on when excessive sweating occurs. Using natural deodorants like camphor after shower is also effective. One can also mix powdered camphor in talc powder and use it every day after shower. Clove oil, tulsi and honey are some ingredients which when mixed with bath water decrease the problem of excessive sweat to a large extent.Cotton wool pads soaked in baking soda can be used to powder the under arms. A mixture of baking soda and lemon juice also works perfectly in reducing localized hyperhidrosis.Potato slices are used to rub the sweat areas and allowed to dry before cleaning and applying talc on the area.Apple cider vinegar is another important home ingredient that can be used to stop localized sweating. Rose petals soaked in cold water and kept overnight can be mixed in bath water and used at the time of taking a bath. This has been identified as an ardent means of not only removing body odour but also has a calming effect on the over active sweat glands.Neem oil or neem powder paste can be used at the end of every bath to clean the excessive sweat areas. This prevents any kind of infectious attack while reducing the sweating. One very popular as well as natural and healthy means of curing excessive sweat is by making a mixture of coconut oil and adding some camphor to it. This paste is applied on the hyper active sweat areas and left for a few minutes before taking a shower.Drinking black tea at night before going to sleep works well for people suffering from hyperhidrosis. Tannin tea solutions are one more means of reducing sweating. The procedure involves soaking the feet and the hands in a tub filled with warm water and around three or more tea bags. This procedure should be repeated every day for at least fifteen minutes to get maximum affect. Last but not the least, drinking lots of water also help in preventing sweating as it keeps the body cool. This herb affects the root cause of excessive sweating and that is production of excessive toxins in the body. It also acts as a relaxant of the muscles. With its anti bacterial and anti viral properties, OSHA is used for cleaning of the respiratory mechanism of the body. A very primitive herb, which dates back to around two thousand years, is recommended in balancing the sweat response of the body. With a warm and pleasant taste, Astragalas is used as a diuretic as well as a stimulant. 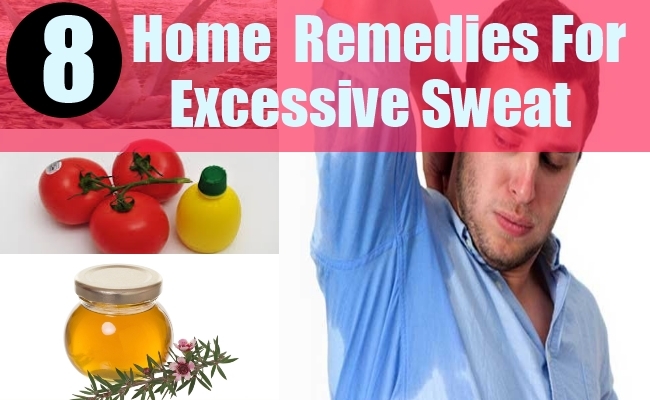 Astragalas have a safe and effective history of reducing excessive sweating. Rehmania is another herb that helps in cooling off the body and keeping the sympathetic nervous system calm. This not only helps in reducing excessive sweating but also controls the feeling of overheated body. The herb is also known to prevent damage from radiation to some extent. This herb with its anti sweat properties is known to reduce excessive sweat from the body. It is also used to reduce fever. The herb has a sweet smell and also helps in providing a solution to related sweat problems like body odour. It is another very common herbal product and effective in finding a solution to the problem of over sweating. A perennial herb, the roots of this plant work efficiently on the sweat glands of the body to control the problem of over sweating and body odour. Growing at the colder regions of the world, this herb is an adaptogen that normalises the various metabolic activities of the body under stress and strain. Besides curbing night sweats, the herb is also used to calm the sympathetic nerves when the body endures stress. Deficiency of calcium and magnesium in the body is also known to cause the problem of excessive sweating. Fresh fruits and vegetables together with milk, cereals and pulses help in maintaining the levels of body nutrients in the body and reduce the effects of excessive sweating.Acupressure, homeopathic and other alternative treatments are available for curing this problem of excess sweat. Since Hyperhidrosis is not a permanent medical condition and therefore proper care as well as a well balanced life style will help in curing the condition and the related problems associated with it.